With the recent advance of factory automation, there are increasing number of manufacturing processes, such as the overhaul of existing lines and the processing of certain marketed products, that cannot be done with traditional processing machinery, and require instead special purpose machines. For example, the mass production of high-performance car parts requires highly complex processing and productivity. Standard machines cannot cope with deep cutting and rapid work rates. Vehicle parts are highly intricate and diverse, and so there is a particularly high demand for machines that are specialized for part processing. Therefore, we provide machines built to order so that processing can be customized to each of the parts, thereby enabling mass production. It is essential that special purpose machines operate stably, are easy to maintain, and that there is a backup system so that users have peace of mind. Chuo Koki has the know how that stems from the wide-ranging technical expertise and experience it has gained through supporting the development of various special purpose machines. 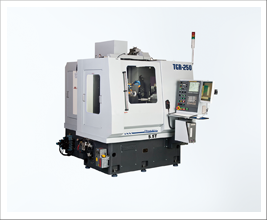 We provide machines that are customized to the properties, shape, and processing requirements of the user's materials, and that meet the user's need for precision, cycle time, and durability. Along with these products, we provide an in-depth service that starts with processing, assembly, inspection, design of component parts, and extends to the final stage of the production line and going forward in the form of after sales support. Do you want to develop a certain production line or a certain type of automation but are unsure if it is viable? We have a highly experienced team ready to handle any inquiries you might have, so please don't hesitate to ask.